The average house has lost 20% of its space since the 1970s as austerity warps planning processes and greed rules the market. On any given week, if you can bear to look, you’ll see dispiriting news about the state of housing in Britain. Last week brought research suggesting that the average home in Britain has shrunk by 20% since the 1970s. 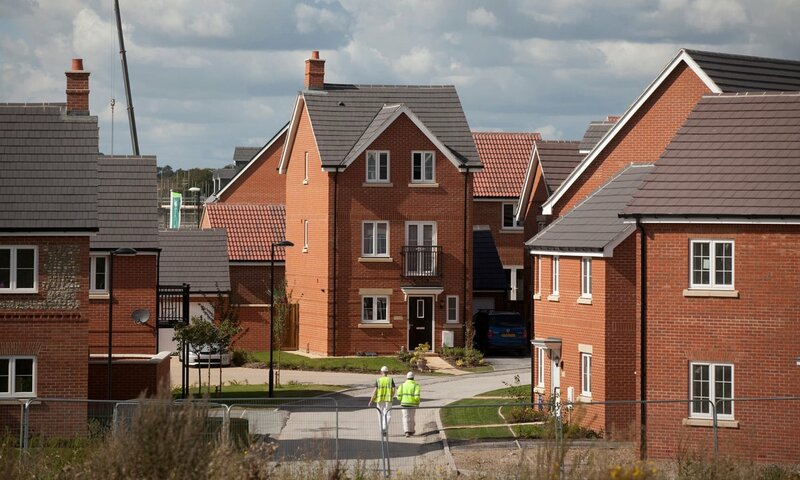 Elsewhere, Persimmon, the UK’s second biggest housebuilder, announced half-year profits of £516m, up 13%, thanks in part to the government’s help-to-buy scheme (earlier this year, it emerged that the company’s CEO Jeff Fairburn had been handed a bonus of £75m). Homes are getting smaller, and for the top few national housebuilders profits and bonuses get ever bigger. How did we get here? One answer is greed. Homes are crucial to our needs – elemental to how we live. It beggars belief that businesses are allowed to abuse this for such outright profiteering. The housebuilding industry argues that the combination of rising prices and shrinking homes is caused by higher land values. This is undoubtedly a problem: you can get situations with greenfield farmland – the holy grail for developers – where owners can make 50 times more if the property is sold for building than if it sells for continued use as a farm (grazing land worth £12,500 a hectare has been known to sell for £2.5m a hectare for housing development). This hits everybody in the housing chain and fuels inequality. Some landowners just don’t give a toss – but others simply don’t understand what their actions cause down the line. Often they are being cajoled by voracious agents to sell at the highest possible price. This whole linked process that causes rising prices needs to be examined. In the Netherlands, the law allows local authorities to buy land at current-use value, which they can then develop for social housing and private commercial use – while still making a profit. This immediately takes the pressure off prices. But we must contradict the housebuilding industry when it says there is no other option. That is a load of rubbish. Many housebuilders deliver on a small percentage of the land that they own every year – it’s common in the industry (and it makes strong business sense) to hold back on the amount they build to keep demand and prices high. But beyond just land values, we have a situation where housing developers have a free hand. Successive governments have pushed deregulation and a free market. What we need is planners in place to put controls on land prices, speed of build and how the industry develops. The government has made council planning departments virtually powerless. Planning is a noble subject. Internationally, Britain was once feted for its planners – we came up with the garden city movement; there was a fantastic lineage. But planning has been destroyed by austerity. We’ve got to make planning noble again; pay planners well; give them power. The Tories have historically stood for deregulation of just about everything – and gutting planning leaves you with what we have now. We wouldn’t be beaten by greed if planning could control it. There is, of course, a place for micro-homes. Some people will want to live small – but it’s a niche position. It should be a sector but this needs to result from demand, not a gradual eating away of space to suit high prices. People shouldn’t be forced into cramped conditions so others can make large profits. Unless you’re wealthy you have no say on where you can live now. How the hell have we allowed ourselves into that situation? Designers and architects can help to make smaller places more palatable, but therein lies a dilemma. While architects come up with elegant designs and solutions for tiny houses, at the same time they risk fuelling the problem. Are we normalising the situation by blithely catering to an industry that insists on squeezing space? We need to encourage developers to have a purpose – to think about leaving a legacy. The largest housebuilders are talking the talk but not walking the walk. There are medium-sized builders that might want to do things in a different way but they struggle to get enough land in the right places, as the private sector and even the public sector sells off land to the highest bidder and doesn’t care about that legacy. There are small builders that need help to expand their businesses. We could nurture the more conscious, caring developers that are out there; the whole industry isn’t like this; it doesn’t have to stay like this. When it comes to housing, the industry rarely talks about wellbeing. Feeling cooped up is clearly a negative – the long-term effects of shrinking houses have to be considered. When small places are built, that’s a legacy for 100 years. Four generations will end up living in that small house. As we continually shrink homes, we leave people with less and less space to live, and we risk taking serendipity out of life. Here’s an example: I would be much less happy without my collection of vinyl records, without the space to store them in my home and to play them. Some may say that’s just a luxury in a digital age. But it would really hurt if that was taken away from me – if the sense of beauty and joy I get out of vinyl was lost because a developer built a house without space for all that. This is what a home is: where there’s space for friends, a place for treasured possessions, room to live. But the way homes are being built now means we will end up with people being told they can’t have that any more. What kind of a life are we heading for?